Manufacturing is a lot like driving a car in traffic – it’s easy to ‘get stuck’. Being stuck raises costs, but there are special techniques to make sure that the traffic (the parts) flow most effectively. 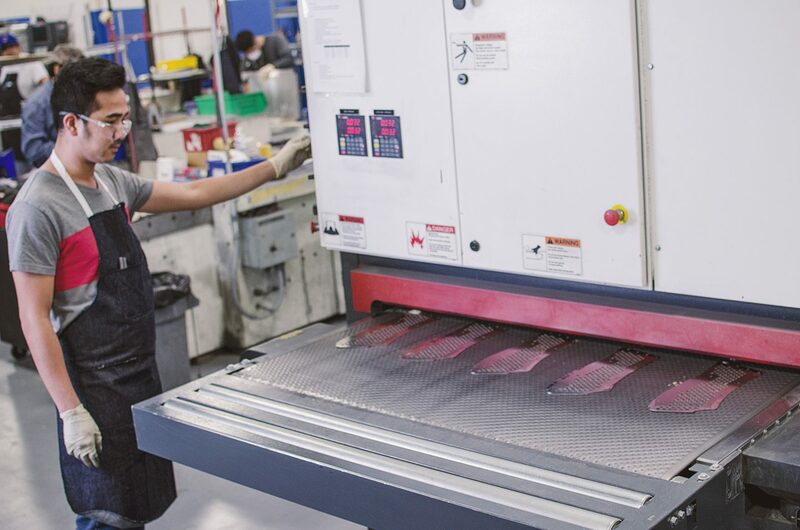 Many don’t think of it this way, but there’s a special art to making sure that a Production System is building the right part at the right time – and in the right quantities. That’s where the “control” in Production Control comes in – and Essner has a strategic advantage in this area. We all know that time is money – the more time a part stays in the production system, the more it costs. So – in order to create the best value for the Customer and for Essner, the system has to make sure that the parts are moving at the fastest velocity possible. To avoid delays, we manage to a production philosophy known as TOC – the ‘Theory of Constraints’. With TOC the entire value stream is taken into consideration – then we focus on that one processes improvement that will produce the best results for the entire system. Non-focused improvement efforts generally result in a lost investment. With the Theory of Constraints, we manage the system around the bottleneck. A bottleneck is that process within the flow that limits the rest of the processes; no matter how efficiently the other processes work, the whole system CANNOT go faster than that bottleneck. So – we focus our improvement methodologies (Lean Manufacturing, etc) to that bottleneck and make sure it can meet customer demand – then we move on to the next one! When focusing on the right process throughput requirements, NOW we can Lean Out the production system with advanced manufacturing techniques and set-up reductions that enables us to carry smaller levels of Work In Process inventory, and consequently smaller levels of Raw Material inventory, in order to afford to keep a Strategic Stock of Finished Goods to protect our customer deliveries. This ensures that no customer will feel any adverse effects of process variations in the Essner Production System. So it’s not all about cutting chips and bending metal – it’s all about doing it smartly – with the most advanced Production Control techniques.